HOME / FOOD / FROM DABBAS TO FACTS! 10 UNKNOWN FACTS OF DABBAWALLAS! You order something online and bang! Your order’s home within days. But, where did this super-fast delivery system come from? Who are the people who have set a benchmark for efficient logistics and a smooth supply chain management? Yes, you’ve guessed it right! Dabbawallas! Smooth delivery and impeccable timing – without the help of a computer! Take that, engineers! They feed our stomachs every day, and we thought: why not let our hungry heads know a few unknown facts about dabbawalas? This supply chain is an ISO 9001:2000 certified company! It is interesting to know that the Dabbawallas today are a benchmark of efficient logistical service where most of the people working have never gone to school after 8th standard and many being illiterate. Who says you need an education for a certification? A six sigma accuracy means that the rate of error of the Dabbawallas in Mumbai is about one in sixteen million deliveries. Such accuracy and efficiency is quite commendable for an organization who barely use a computer. Mr. Dabbawallas, you all are indeed one in sixteen million! 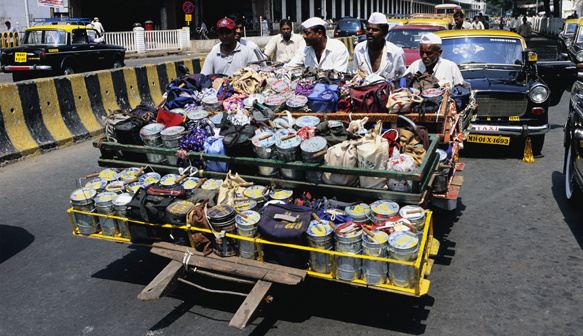 Every dabbawalla receives the same income, irrespective of age, experience and number of customers served. A dabbawalla is not an employee, but an entrepreneur and an equal shareholder in the Dabbawalla Trust! 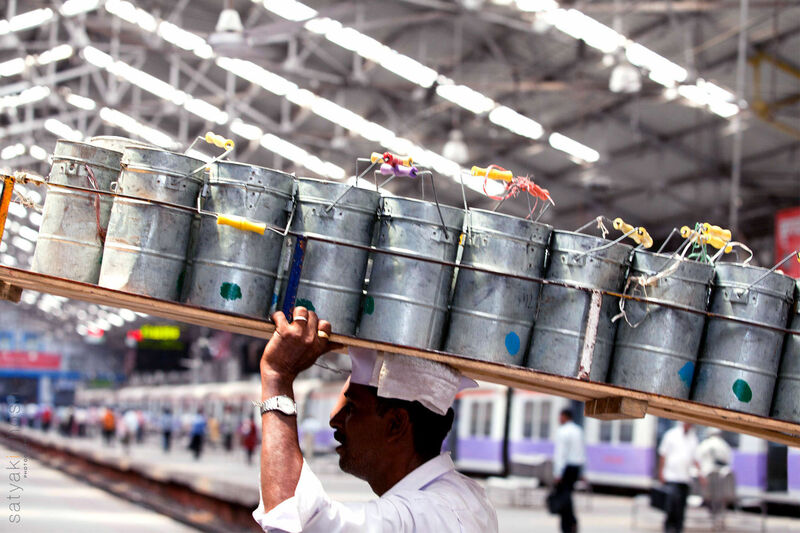 Sharing is caring, the Dabbawalla way! 4. Never been on a strike since 1890! They have never been a on a strike since they first started out, which was in 1890! 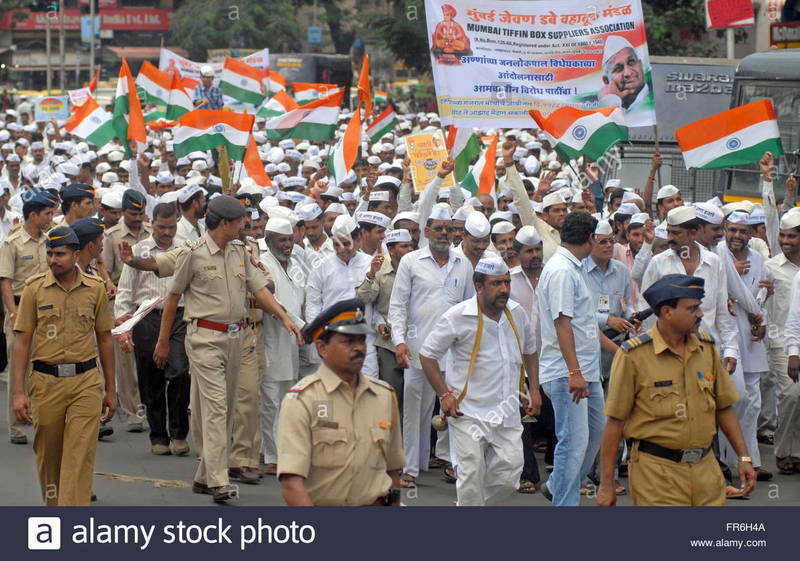 The only exception being the strike in 2011, to support Anna Hazare in his anti-corruption campaign. As is the luck of Mumbaikars, this strike was on a Parsi New Year, a public holiday in Maharashtra! 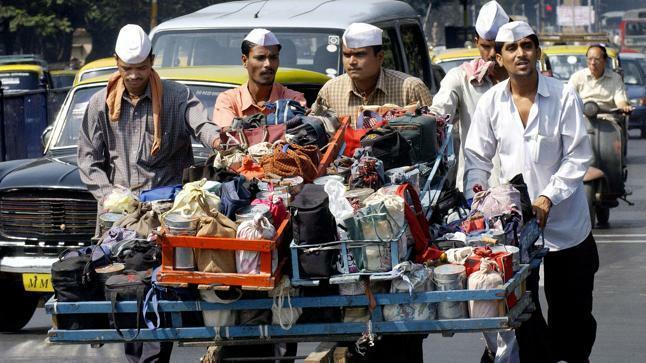 A typical dabbawalla’s load is about 65 kgs! And the fact that they efficiently carry all of this on their heads, during peak hours, is nothing short of a commendable feat. Forget those dumbbells and lift some dabbas! 6. When they couldn’t give a Prince time! 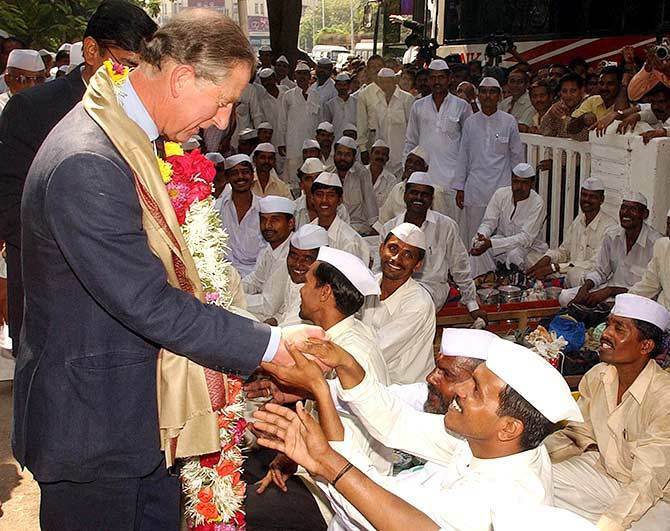 On his visit to India in November 2003, Prince Charles met the dabbawalas at Churchgate station. The dabbawalas gave a 20 minutes slot to the British royal because they could not take time off work. Sorry Prince Charles, but work is worship! 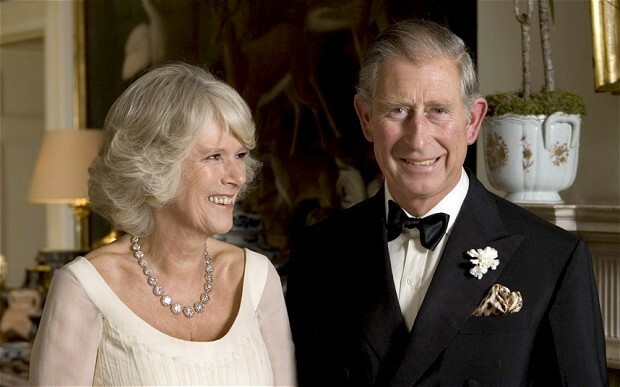 Prince Charles was so impressed with their services that he had even invited 2 dabbawallas to his marriage to Camilla Parker in London. And guess what the dabbawallas gifted the royal couple? A traditional Maharashtrian saree for the bride and a Maharashtrian turban for groom! It's a day-long workshop where you can learn about management techniques – the dabbawala way that is almost zero error! In 2005, IIM-A featured a case-study on the management techniques of the dabbawalas. Later, in 2010, Harvard Business School also conducted their own study on the timely and efficient delivery system of this company. The Share my Dabba campaign: wherein the left-overs from the tiffin boxes would be fed to the street kids to avoid food wastage. Therefore, the Dabbawallas ask whoever doesn’t finish the meal and leaves some food inside the box, to stick the “Share my Dabba” sticker on the handle. This is considered an approval of the owner to let the Dabbawalla distribute the leftover food! 9.Branding takes too much time! 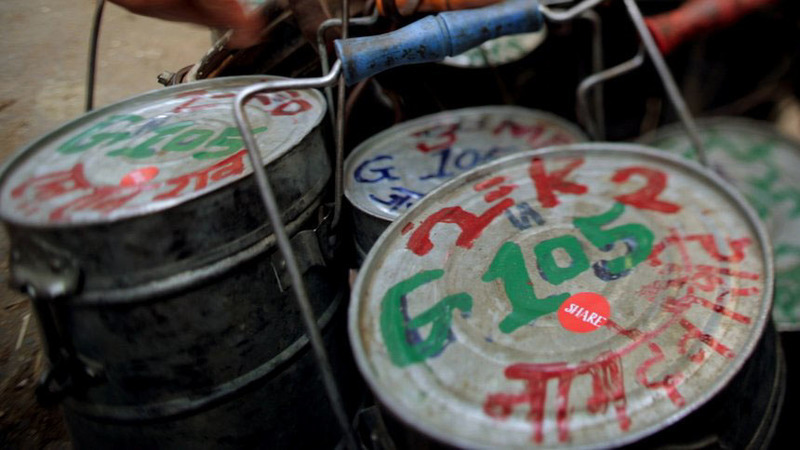 Companies like HUL and Microsoft have tried distributing ad materials and flyers through the dabbawalas network. The dabbawalas, however, found that the extra time required to attach flyers to the dabbas was too disruptive to their system and abandoned the idea after a trial run. Wow, such a passion! By time you’re done reading, your dabba must have arrived! So smile at your dabbawalla, because a little appreciation after a hard day’s work feels good! Now after dabbawallas, it’s the tuk tuk of the streets of Mumbai: the rickshawallas!